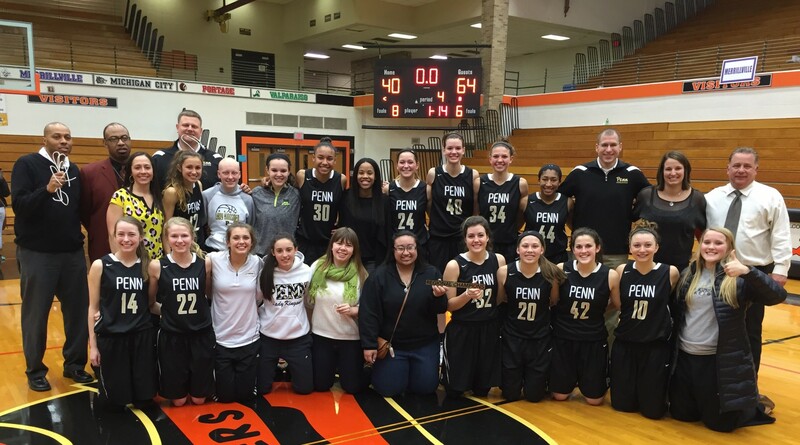 Penn’s starting five getting ready to battle for a trophy. 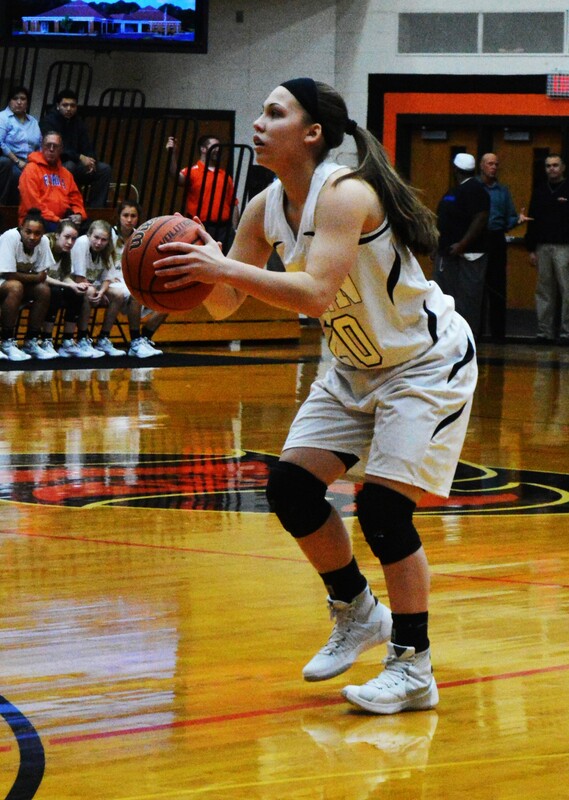 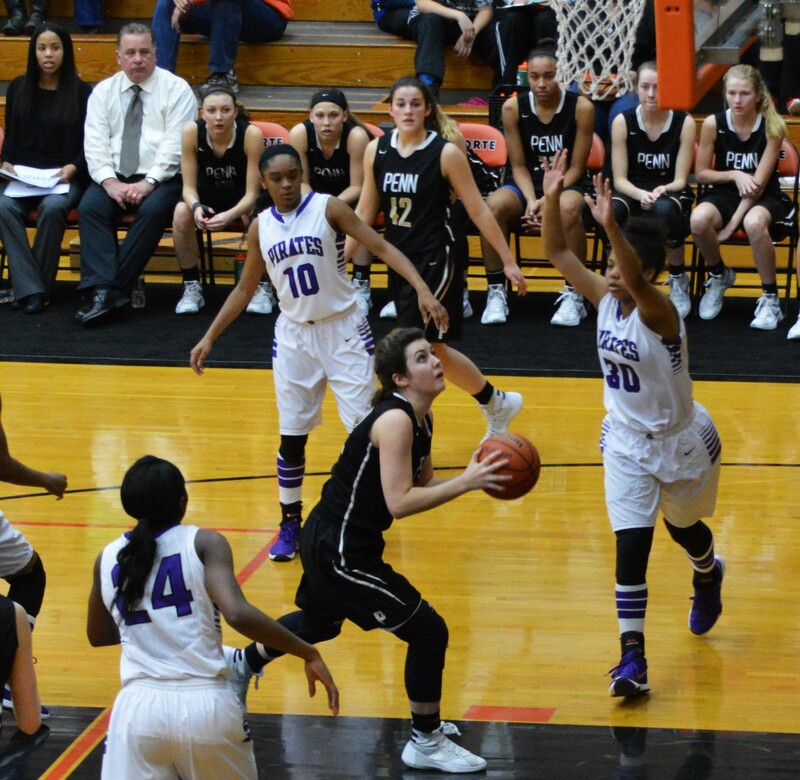 Camryn Buhr shoots in traffic. 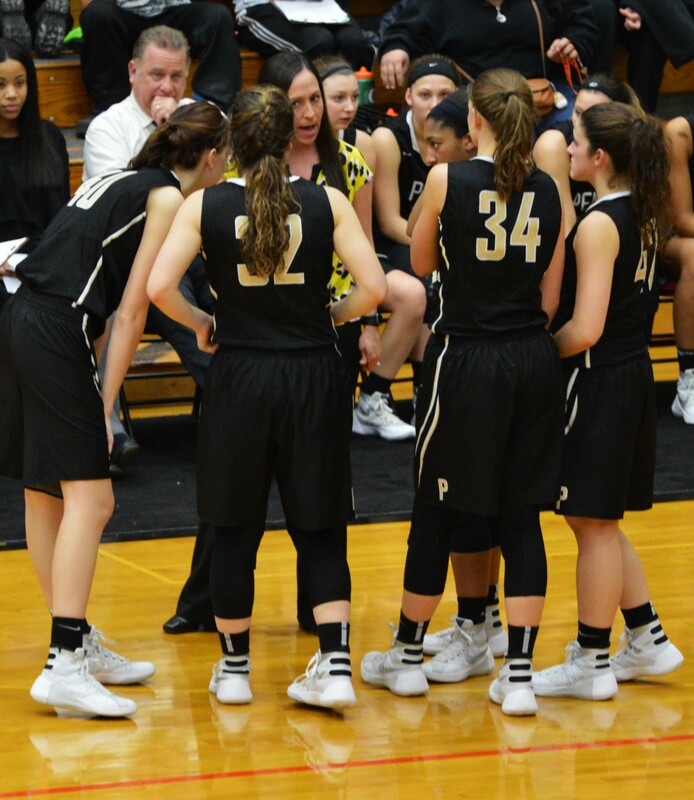 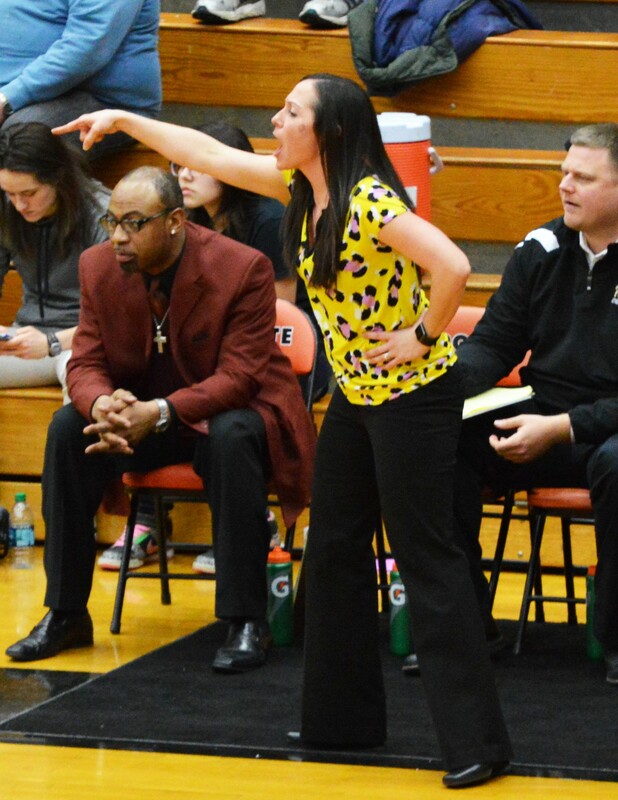 Coach Kaniewski Ulrich guiding the Kingsmen attack. 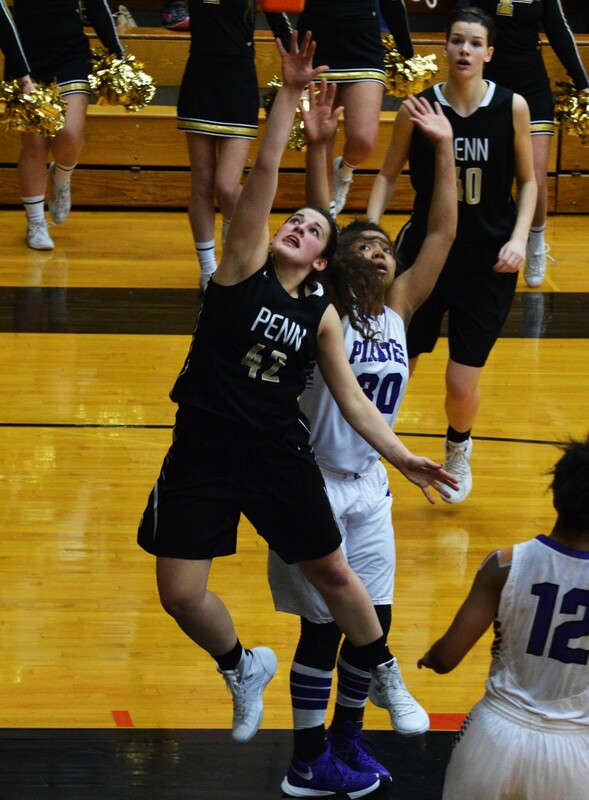 Kamra Solomon getting the Penn offense set up. 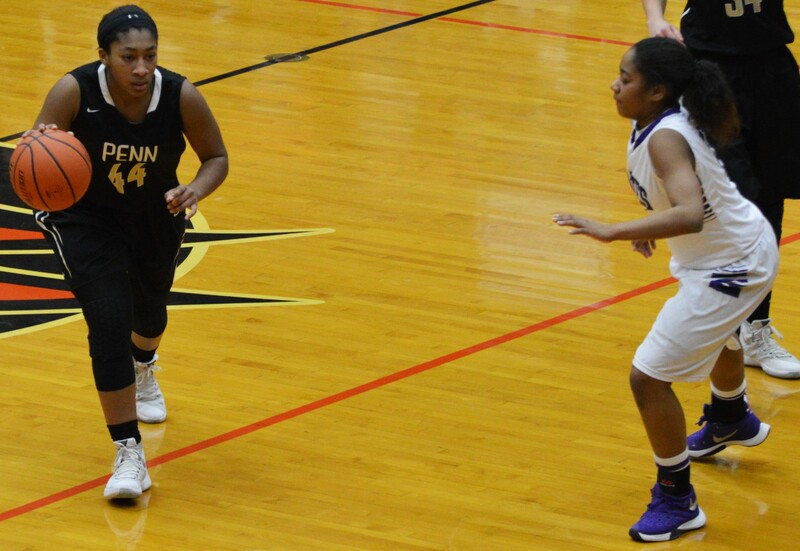 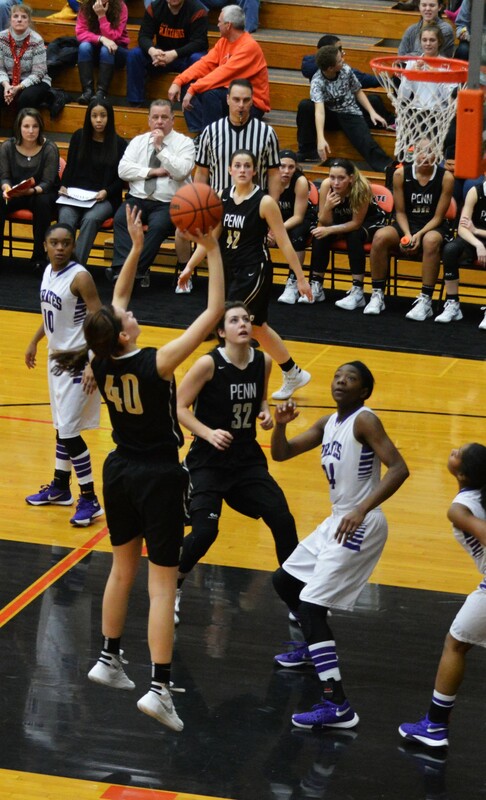 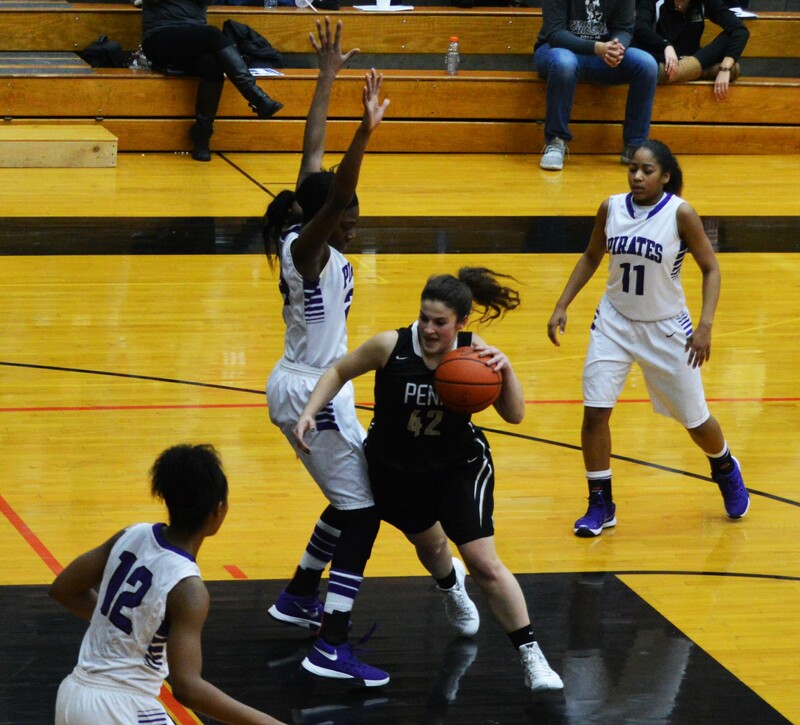 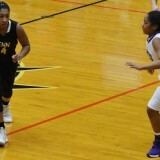 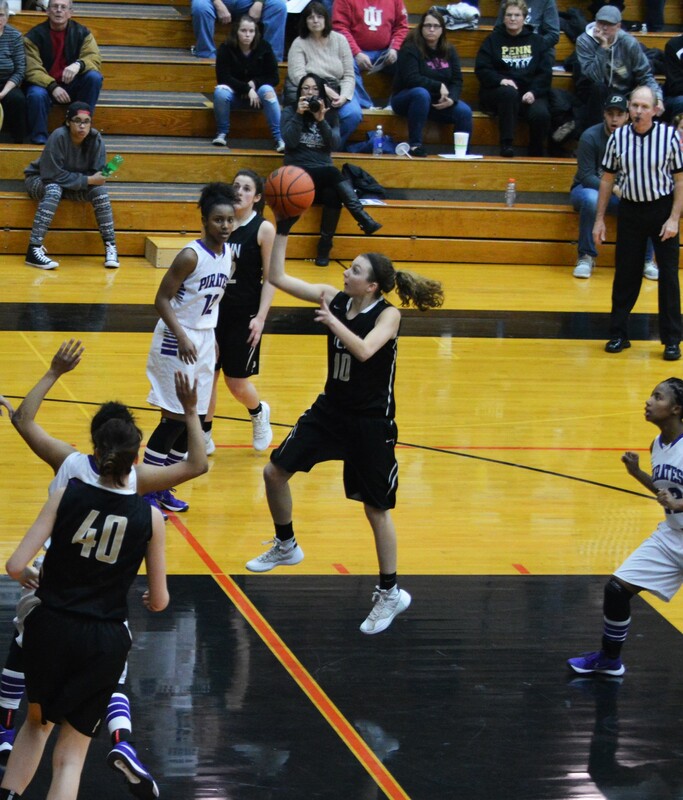 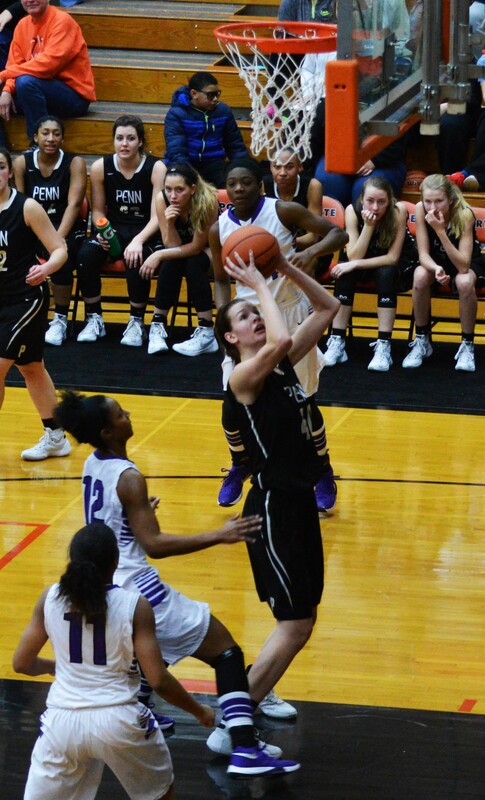 Kaitlyn Marenyi taking on the Merrillville defense. 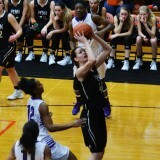 Kaitlyn Marenyi firing up a shot. 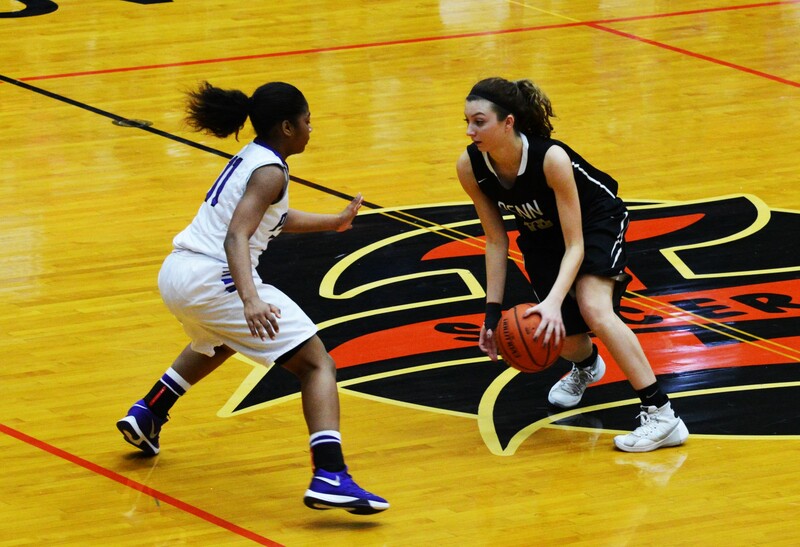 Lindsay Chrise with a power move to the hoop. 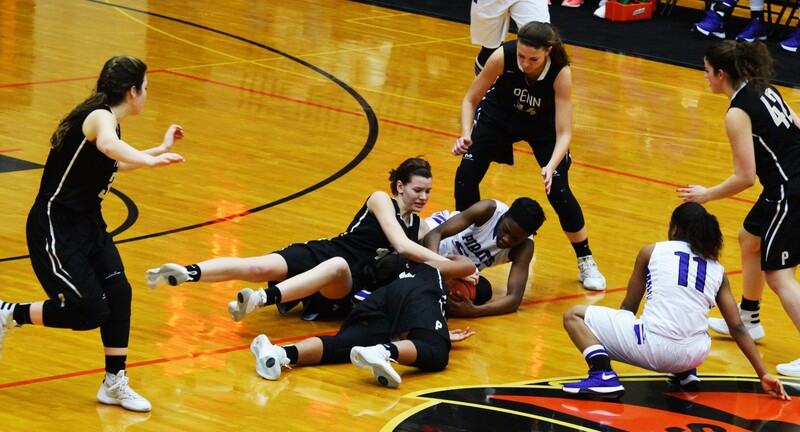 The Kingsmen hustle for the ball. 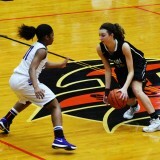 Lindsay Chrise about to score. 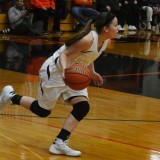 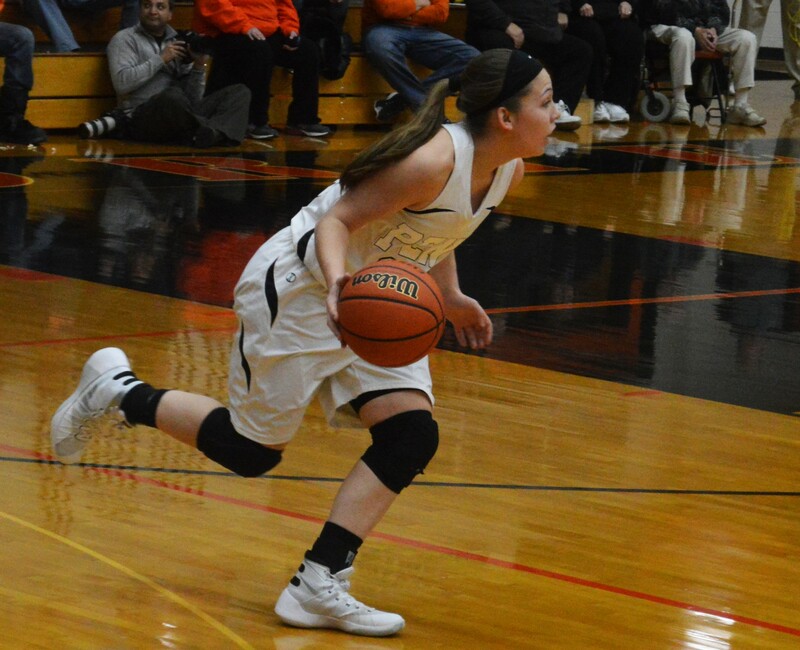 Lindsy Kline with a driving lay-up. 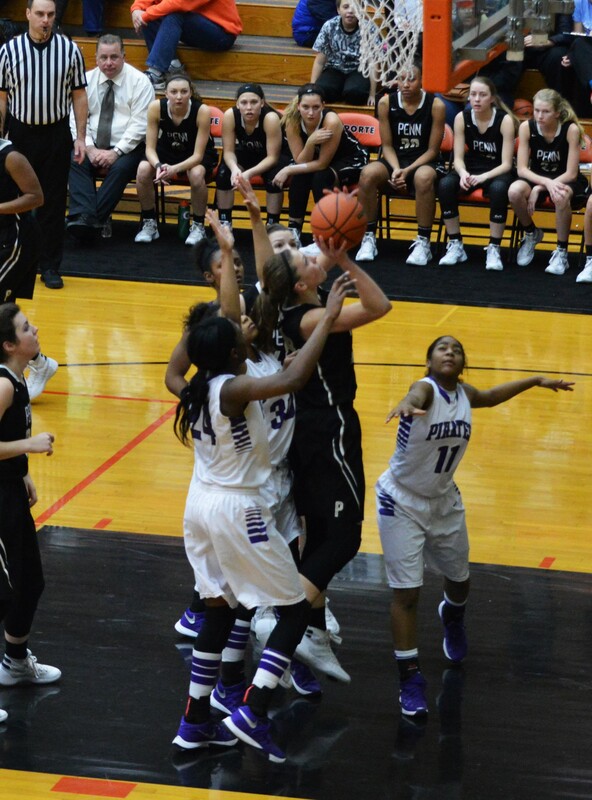 Lindsy Kline slashes through the Merrillville defense. 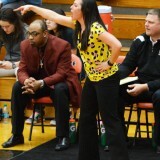 Sara Doi about the shoot a 3. 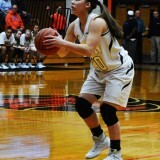 Sara Doi driving to the basket. 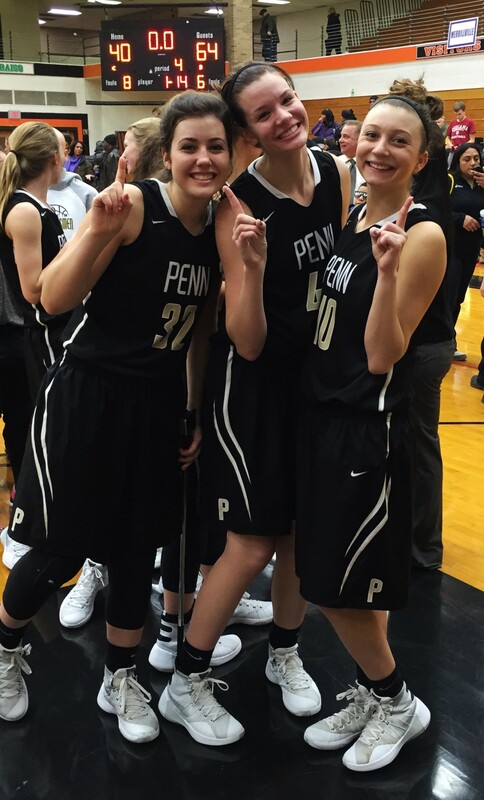 Claire Carlton, Lindsay Chrise and Kaitlyn Marenyi show who’s No. 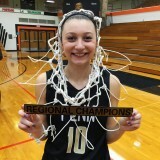 1 in the regional. 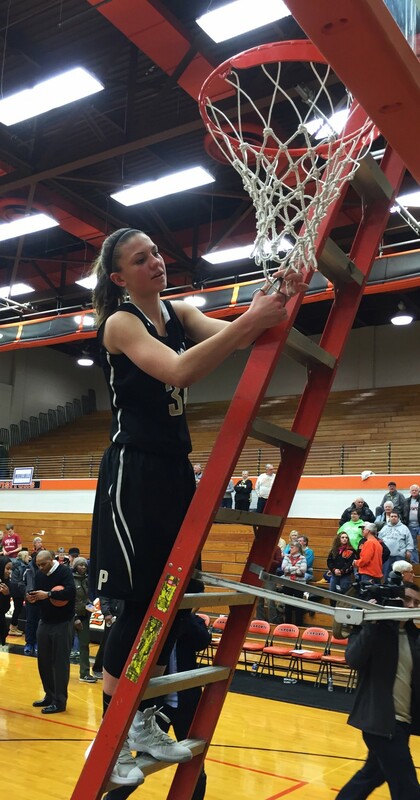 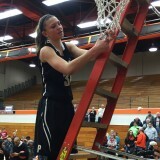 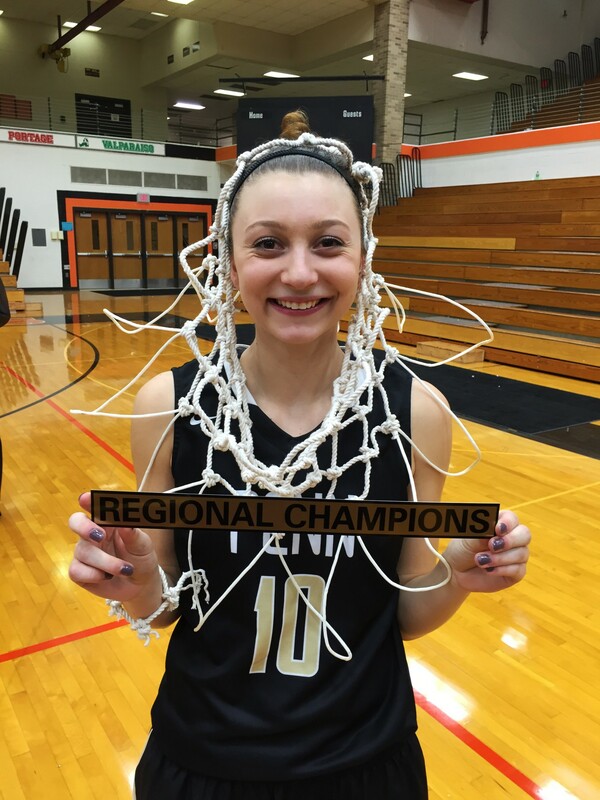 Camryn Buhr cutting down the net. 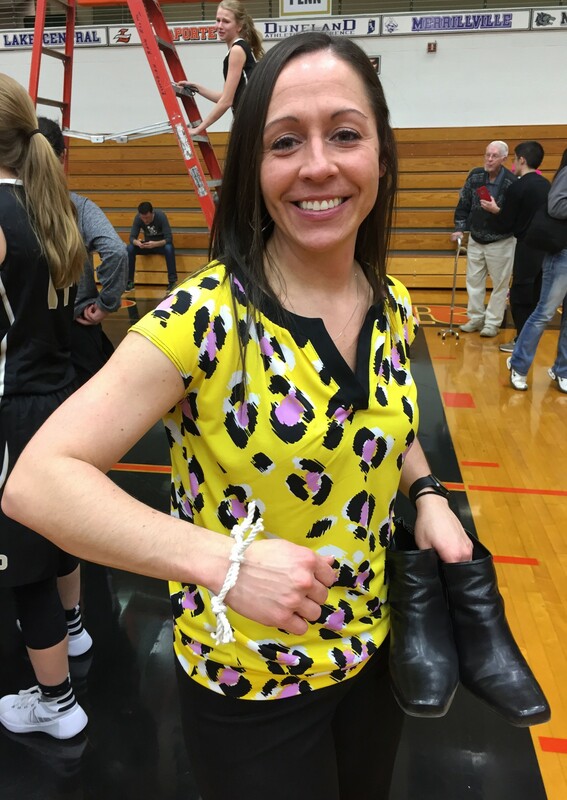 Coach Kaniewski Ulrich with a bracelet made of net. 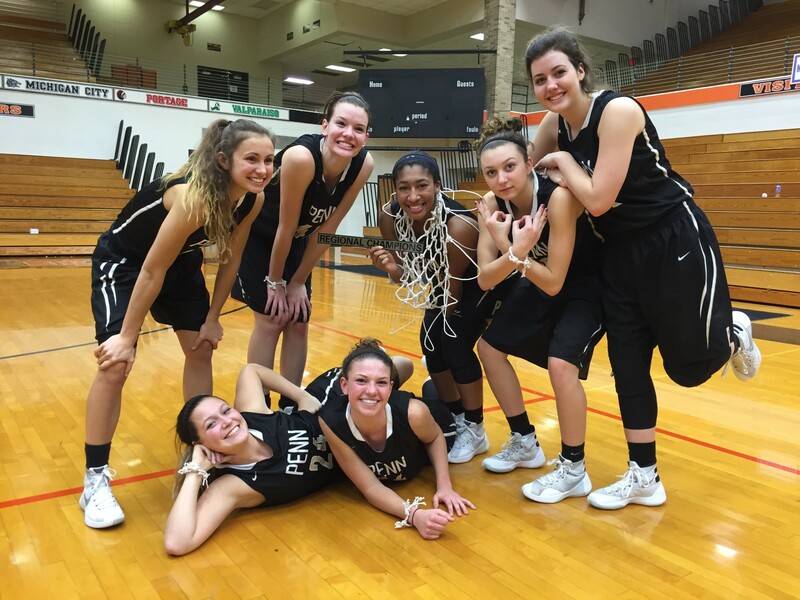 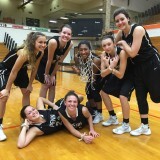 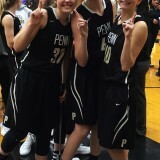 Penn’s seniors enjoy the moment after winning the title. 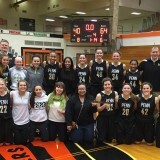 The Regional Champion Penn Kingsmen.